According to reports in UNI, The Andhra Cricket Association (ACA) has slashed the ticket prices of the higher denomination for the second ODI between India and West Indies that it is scheduled to host on October 24 at the Dr.Y.S. Rajasekhara Reddy ACA-VDCA Stadium. Previously Indore’s Holkar Stadium was scheduled to play host for the said ODI but due to a tussle over complimentary tickets with the BCCI, it refused to organise the fixture. Consequently, BCCI had to look for a new venue and the ODI was then shifted to Vizag. 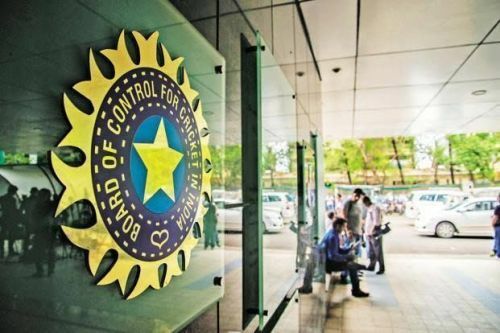 After the shift in venue of the second ODI, ACA management has given their consent to BCCI's new ticket sharing guidelines and has accepted to put 90 per cent of their tickets for public sales, as mentioned the new constitution of the BCCI. Now 24,000 tickets will be sold to the public while 3500 will be distributed as complimentary passes. M.T. Krishna Babu, chairman of the organising committee of the match, said the tickets will be sold from October 15, with the majority of them being sold online. “We are also planning to sell some 6,000 tickets through ten offline counters at various places in the city,” he was quoted as saying by The Hindu. As mentioned, The ticket denomination for the ODI has been reduced from ₹6,000 to ₹4,000 (premium tickets quota), while ₹3,500 ticket has been reduced to ₹2,500 and the tickets prices at ₹2,500 will be sold at ₹2,000. The remaining tickets have been priced as ₹1,800, ₹1,200, ₹750, ₹500 and ₹250. 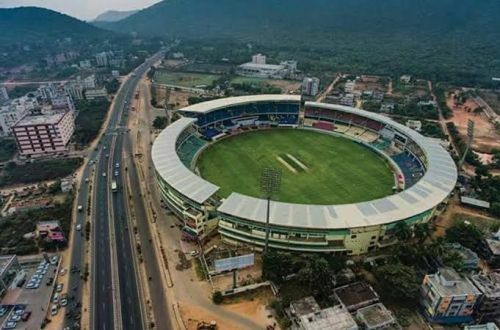 The capacity of Vizag stadium is 27,500 and the ACA has decided to sell 90% (24,000) tickets of the total and will distribute the rest 3,500 tickets among its affiliated units and others as complimentary passes. Visakhapatnam Port Trust (VPT) Chairman M.T. Krishna Babu, who is also chairman of the organising committee of the match, said the ACA would vend the tickets from October 15 and most of the tickets will be sold on www.eventsnow.com. Among other associations, where the Tamil Nadu Cricket Association has reiterated that it can host the third T20 international on November 11 only by sticking to its old/conventional order, with regard to the distribution of complimentary passes and tickets on preferential basis and The Cricket Association of Bengal, too, is not agreeable to any compromise, with Eden Gardens scheduled to host the first T20 international on November 4. The decision taken by ACA has been a sign of relief for the Indian Board.